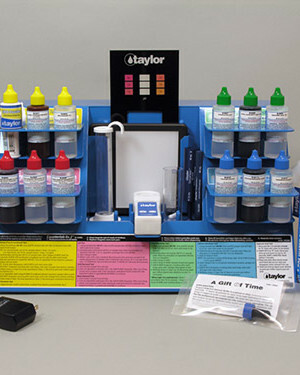 The HydroQuant test kits by WAPOTEC are the most powerful portable test kits available to pool operators. 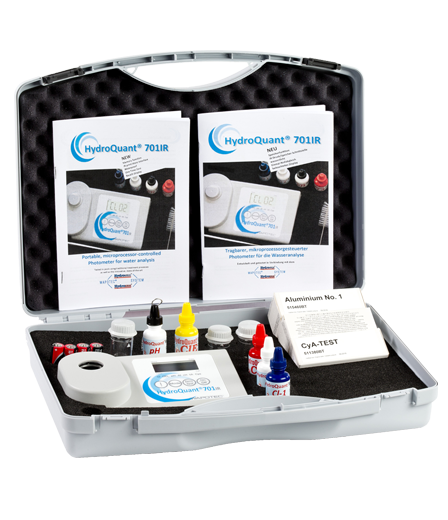 The HydroQuant 701 tests all 6 standard parameters plus chlorine dioxide (oxidizer) and aluminum (to ensure proper flocculation). 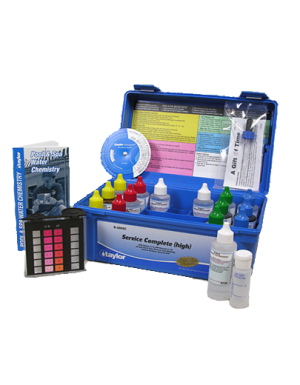 This kit is very accurate, and easy to use. 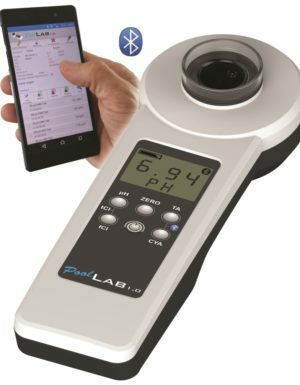 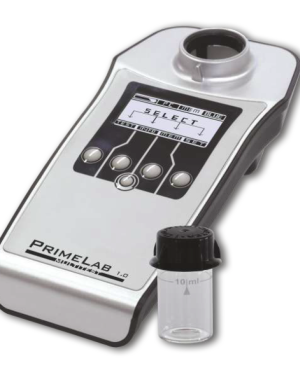 It can be easily cleaned & calibrated for a long service life.